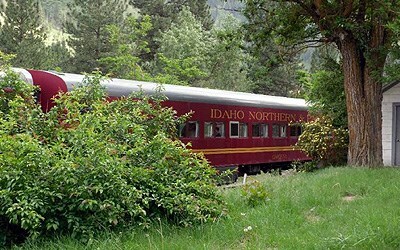 As a major city within the Nez Perce Indian Reservation, Orofino is near the historic “Canoe Camp” where explorers led by Lewis and Clark built new canoes before traveling downstream to the Pacific Ocean in 1805. Originally named Oro Fino, in reference to a gold mining camp near town, the town of Orofino was established in 1896 after the Nez Perce Reservation was opened to non-tribal settlement. The Clearwater River is known for impressive Steelhead Trout as well as Chinook Salmon, which come from the Dworshak National Fish Hatchery Complex. 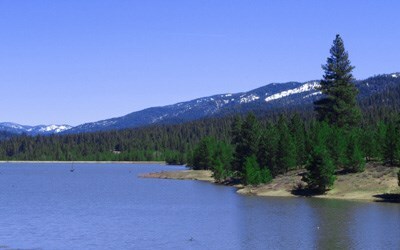 At 53 miles long, the Dworshak Reservoir provides fishing, camping and water sports. The reservoir has seven boat ramps, numerous floating docks and 184 miles of shoreline. Clearwater National Forest features a variety of year-round recreation including snowshoeing, cross country skiing, snowmobiling, camping, hiking and more. Exciting events are held throughout the year from an Elk Calling Contest in April and 4th of July festivities to Lumberjack Days in the fall. Due to a relatively low elevation; this area ranks among the warmest in the summer and mildest in the winter. The climate is dry-summer continental bordering on continental Mediterranean. Annual averages include 166 days of sunshine, 25 inches of rain and 26 inches of snow. Clearwater Valley Hospital & Clinics are fully-staffed facilities offering 24-hour care, expert physicians and emergency and helicopter services. Clearwater Health & Rehabilitation provides quality care in a comfortable and caring setting. Orofino Elementary and High School offer primary and secondary education, while Lewis-Clark State College, Walla Walla Community College, University of Idaho and Washington State University are convenient institutes of higher education.